The Dark Knight Will Rise… But When? 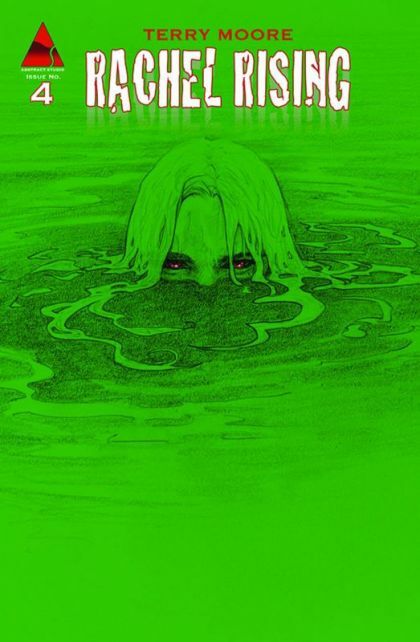 Strangers in Paradise scribe Terry Moore has a new comic, Rachel Rising, and I LOVE it!!! As I may have mentioned here before there is a virtual comic book renaissance underway right now, and while I credit a lot of it to Robert Kirkman being made a partner in image comics and helping re-stack that company’s line-up in a decidedly ‘indie’ fashion, there are other companies/artists making great books as well. Image has books like Witch Doctor, Severed, Red Wing and The Strange Talent of Luther Strode, which are – in my opinion – revitalizing an industry that absorbed the best indie writers ten or more years ago, and while those writers – in many respects – are elevating the standard of the mainstay superhero franchises of the big two, a gap was indeed left after their evolution. And while guys like Rick Remender have indeed been laying their own legacies the same way David Lapham, Terry Moore, Grant Morrison, Brian Michael Bendis and Paul Pope did in the 90’s (to name a few), there hasn’t felt as though there’s been a “scene” or presence as robust as when titles like Stray Bullets, Strangers in Paradise, Doom Patrol, Jinx and Heavy Liquid lined the shelves when you walked into a comic shop circa 1997 in quite some time. Oh, did I mention Terry Moore? Good, because as I alluded to, Image is not the only company back in the game. Terry Moore, the legendary Strangers in Paradise scribe is back with a book that, thus far in three issues, has me 100% in LOVE, and that book is Rachel Rising on Moore’s own Abstract Studios imprint. Rachel is a girl who wakes up in a shallow grave in the middle of the woods one night, unable to remember how she got there or why ~GASP~ she’s dead. My friend John turned me on to this book recently and when he described it as “Moore’s take on zombies” he was quick to add a “kinda” that staved off my inevitable GROAN and led me to buy the first issue. Went back a couple weeks later and bought issues 2 and 3 and now I can say the story bares no resemblence to “zombies” other than the main character is indeed a dead woman walking around. But that’s it. Rachel has a noose burn around her neck and gnarly black Conjuctivas (the whites of your eyes). She’s missing a couple of days worth of memories (cuz she’s been in the ground) and no one she knows seems to recognize her, despite the fact that no one knows she’s been dead. Rachel Rising feels so much like an old school indie comic – maybe it’s just that I am elated to have new something new from Terry Moore, one of the icons of the indie comics boom of days gone by. Either way, I’m spreading the word so it can sell a ton to other comics lovers and stay around for as long as it needs to finish its story.